This book has an extremely intriguing title. The book’s goal is to explain why the Industrial Revolution happened and how it happened. The book explains that there are over two hundred theories for why the Industrial Revolution occurred. The author points out that most of these theories miss the most obvious point, “which is that the Industrial Revolution was, first and foremost, a revolution in invention.” (Italics in the original) It further explains, “For a thousand centuries, the equation that represented humanity’s rate of invention could be plotted on an X-Y graph as a pretty straight line. . . . Then during a few decades of the eighteenth and nineteenth centuries, in an island nation with no special geographic resources” it changed. Ultimately, the Industrial Revolution was a perpetual innovation machine. The author explains that England’s patent laws democratized invention and this combined with the advent of limited liability companies and the new capital markets resulted in an explosion of new inventions that created unimaginable wealth. “The best explanation for the preeminence of English speakers in lifting humanity out of its ten-thousand-year-long Malthusian trap is that the Anglophone world democratized the nature of invention. The United States went on to create the first modern (non-archaic) patent system that was considerably more democratic (this is small d democrat) than England’s. This was a major reason why the U.S. became a world economic power in less than 100 years. Unfortunately, the U.S. is presently considering legislation, the America Invents Act (aka Patent Reform), that will again make inventing undemocratic and the province of the wealthy. The book explains the history of patent law, the history of the science of steam (thermodynamics) as well as the history of the technology and economics of steam engines. The writing style is easy to read and very informative. Despite the bold initial statements in the book, it really focuses on the story of the Industrial Revolution instead of supporting its thesis. 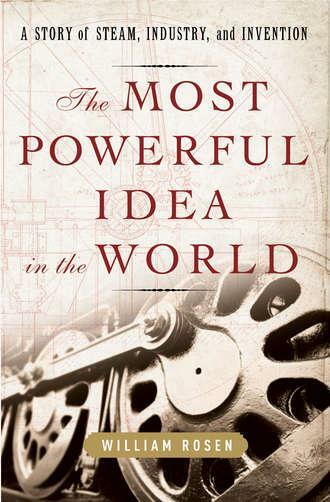 The Most Powerful Idea in the World: A Story of Steam, Industry, and Invention, by William Rosen.